We all know that Mallorca is one of the most beautiful and impressive islands in the world. If you’re planning to visit it, we have a proposal for you a perfect plan to know Mallorca during 1, 3, 4, 5 or 7 days so that you don’t miss the most essential places. What to see in a day in Mallorca? We will start the day visiting the Cathedral of Palma, one of the most famous architectural beauties of the Mediterranean and the emblem of the island. A Gothic style building in which interior we can emphasize the Door of the Mirador, Chapel of the Trinidad and the Gothic Museum. Once visited, we head north of Mallorca to visit Pollença, a very characteristic municipality that was founded by the Romans, where we can visit the hermitage of Calvary, the Convent of Santo Domingo and the Gothic Chapel of Roser Vell. To complete the morning we can visit Sóller, an attractive village located in the northwest of Mallorca. It is a good option if you opt for hiking and mountain sports. It is the perfect combination of sea and mountain with a pleasant atmosphere and cool climate. From this experience we must highlight the Puerto de Sóller, an extraordinary place to swim and enjoy Mallorcan cuisine. After eating we can enter the Sierra Tramuntana and visit Valldemossa. It is the best-known town in the area, but also are other charming places where we can go after Andratx, which has small coves, large cliffs and four islets, with Sa Dragonera being the most known. Then we can conclude the afternoon visiting Palma a little more by visiting its old town, the port area or Castell de Bellver, a Gothic fortification located three kilometres from the city, in an area surrounded by forest with views of the city, the port, the Sierra de Tramuntana and the Pla de Mallorca. In fact, its name derives from the old Catalan “bell veer”, which means “beautiful sight”. Mallorca has a diverse offer to enjoy the night. The Lonja de Palma is a very famous area where it is full of cafes, restaurants and bars to enjoy a relaxed moment on its terraces or live music, whether jazz, classical music or something more modern and commercial. For young people who are looking for a more festive atmosphere, Mallorca has other areas such as Magaluf, Arenal, Playa de Palma and the Paseo Marítimo of the capital. In Mallorca everything is possible. If your stay is extended two more days, then you can take your time to know Mallorca. On your second day on the island you can take advantage to enjoy its wonderful coves and beaches, Mallorca has a wide variety at your fingertips among which we highlight the Beaches of Santanyí, Formentor and Playa de Muro. In all of them it is recommended to bring food and a fridge for drinks, since most these beaches are almost virgin or have little supply, such as Formentor. The beaches of Santanyí are some of the most beautiful on the island, being that of Es Caló des Moro the most essential, but that of S’Amarador, Cala Mondragó, Cala Llombards or Cala Santanyí other beaches that are also worth visiting. The Formentor Beach, located at the most northwest point of Mallorca, is another of the most impressive in Mallorca where it is surrounded by an extensive pine forest and with excellent views. And of the Muro Beach, the area of Es Comú de Muro stands out, a beach that is part of the S’Albufera Natural Park. You can take advantage of your third day to get to know Palma a little more depth, apart from its famous cathedral, the city also has places of great charm. For example, its old town, the traditional Mercado del Olivar, the Almudaina Palace or the Jardines del Rey. You can dedicate this last day to relax in the hotel and go to see Palma while you walk, taste the typical gastronomy of the island in its restaurants, museums or shopping trips. What to see in Mallorca in 4 days? Apart from its wonderful beaches and landscapes, it also has impressive caves, a little known fact by tourists. Many of these treasures are located underground where we can find stalactites, stalagmites and lakes of fresh or saltwater. The most important caves are the Caves of Drach, Genoa, Campanet and the Hams. Many of them have other caves that are connected to each other. It is worth exploring them and knowing these unknown wonders in the eyes of many tourists. What to see in Mallorca in 5 days? Another little gems of Mallorca is Sa Calobra, a cove located between two cliffs that form the mouth of the Torrent de Pareis. The stunning beauty of the landscape and the colour of its water makes it one another place you shouldn’t miss in your visit. What to see in Mallorca in 7 days? Mallorca has countless natural parks. The beauty emanating from its landscapes, its ecosystem and its particular flora and fauna are the reasons why nature lovers should know these protected areas. The most impressive are the Maritime Terrestrial National Park of the Cabrera Archipelago, the Natural Area of the Serra Tramuntana, the S’Albufera Natural Park, the Mondragó Natural Park, the Sa Dragonera Natural Park, Llevant Peninsula Natural Park. If you thought that after being a week on the island you had already seen everything, I’m sorry to say no. There are still small hidden treasures, many of them are fortifications and buildings of the medieval period, this excursion will delight lovers of history and art of the time. These are the Castle of Alaró, Castle of Santueri, Castell del Rei, Castle of Capdepera, Castle Museum of San Carlos and the Castell de la Punta n’Amer. All of them will transport you to another time and make you enjoy breathtaking landscapes never seen before. All this is what awaits you when you arrive in Mallorca, as you may have noticed, on the island there is no room for boredom. In addition to visiting these places, you can combine it with the relaxation that a quality hotel can provide you. 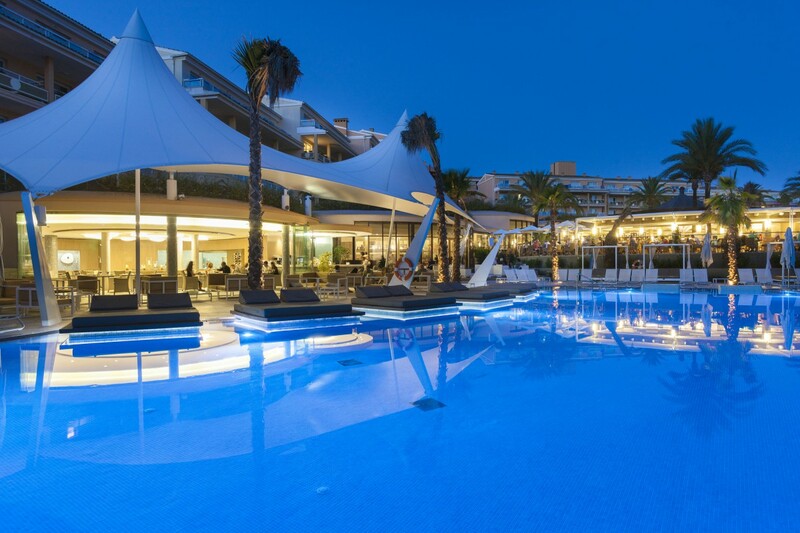 At Insotel you will have the best all-inclusive family deals at a hotel with spa in Mallorca. Turn your trip into an unforgettable experience with us. ← Do you know the spectacular salt mountains of Ibiza?